Doris Haynes, age 88 of Harned, KY died Friday, January 25, 2019 at Breckinridge Memorial Hospital. She was born in Locust Hill, KY on October 26, 1930, the daughter of the late Wilbur and Nannie Lee Horsley Butler. Doris retired from the Breckinridge County Board of Education after working many years in the high school cafeteria. During the summer months, she was a cook at the FFA Training Center. Doris was the matriach of the Haynes family. She loved her family beyond measure, was very proud of their accomplishments and was involved with all their adventures. 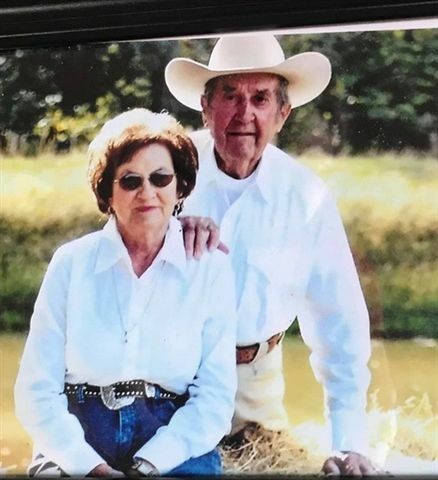 She and her late husband Bobby, enjoyed round and square dancing, playing card games with family and friends and showing horses. They operated the Saddle Club Building during the county fair for many years. To show their appreciation for the long hours, hard work and dedication, the Fair Board named the building after Bobby and Doris. She was well known for her baking skills. Each year for Hoe Down Days in downtown Hardinsburg, she made dozens and dozens of pies, cakes and fried pies to sell. Needless to say, if you weren't there at the opening ceremonies, you were out of luck for the baked goods - they sold quickly. Another favorite were her no bake cookies - many children across the county that attended the high school were fortunate to eat those as well as her family. In addition to her parents, she was preceded in death by her husband Robert Edwin Haynes, an infant sister, 2 half sisters Carrie Dodson and Anna L Daniel and half brother Howard Thornhill. Funeral services will be held at Trent-Dowell Funeral Home 308 South Hardin Street Hardinsburg, KY 40143 on Friday, February 1, 2019 at 11 AM. Burial will be in the Freedom Cemetery. Visitation will be held on Thursday, 3-8 PM and Friday after 8 AM. Expressions of sympathy are suggested to Ephesus Cumberland Presbyterian Church or Freedom Cemetery.